Check the end of this post for more inspiration for DIY gift ideas. If you are a blogger, feel free to leave a link to any post you have for handmade gifts. This post contains affiliate links. If you make a purchase using my link, I will receive a small portion of the sale in exchange for advertising items I love here on my blog. When I visit the store, I'm always on the lookout for cheap notebooks. When they are on sale, I usually try to stock up so I can decorate them throughout the year. I like to give them as gifts, or decorate with different themes (you can see my paper decorated notebooks here), or to use as a journal on our yearly travels. These notebooks are so quick and easy to make, so it's a nice creative outlet for when you are short on time. 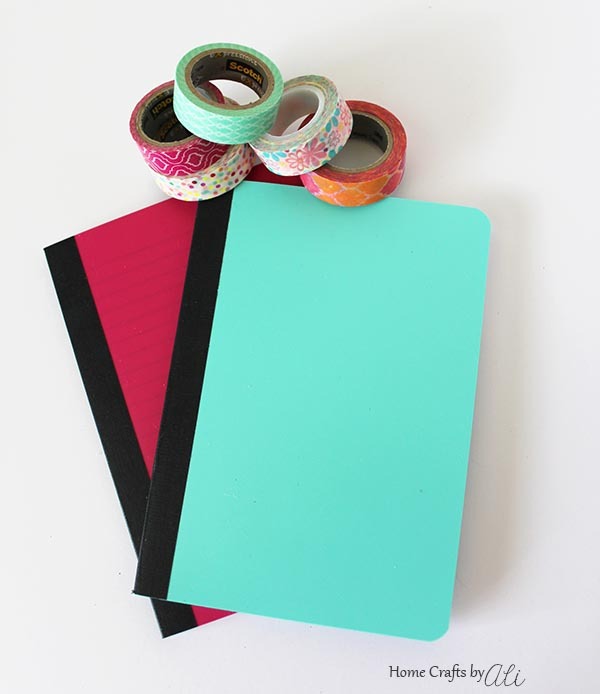 So grab your supplies, get crafting, and you will have a cute notebook in about 5 or 10 minutes! 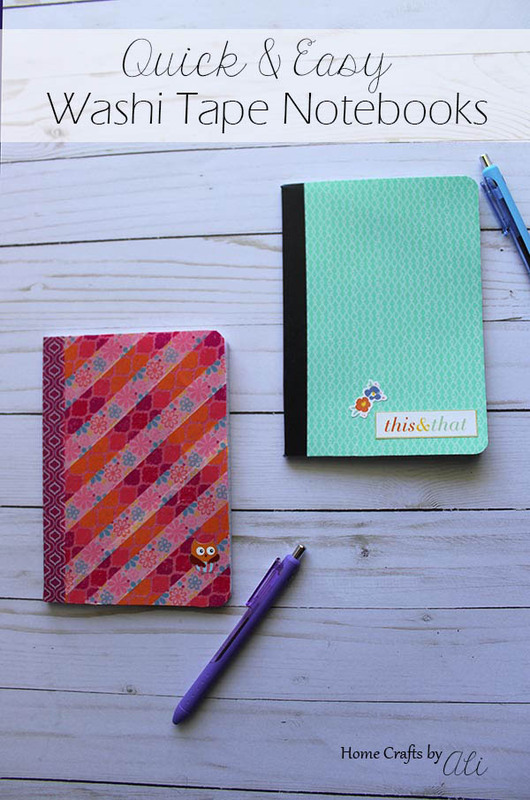 This step-by-step tutorial will give you a clear idea how to use washi tape to decorate your notebook. 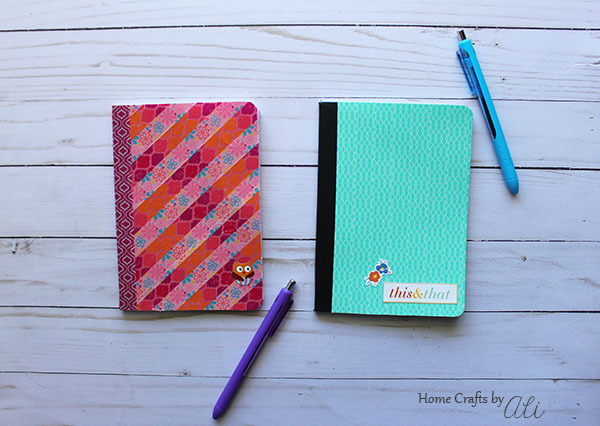 Pick your favorite print of washi and get crafting! 1. Mentally plan out what you want your notebook to look like. I like the look of the horizontal alternating strips of washi, but it is up to you. It was easier to make the vertical stripes and it looks even that way when you can get the washi lined up correctly. 2. Cover the front of your notebook with washi tape, going over the edge just a bit with tape so you make sure to have the notebook totally covered. 3. Trim the edges of the washi with your scissors or hobby knife leaving just a bit around the edges. In the supply list, I said to have scissors you only use for washi tape. That is because the stickiness will eventually gum up the scissors. You won't want to use them for fabric or paper projects. 4. Fold the excess tape to the back side of the notebook cover. That will leave it looking crisp and clean. 5. Add a sticker or two for extra decoration. 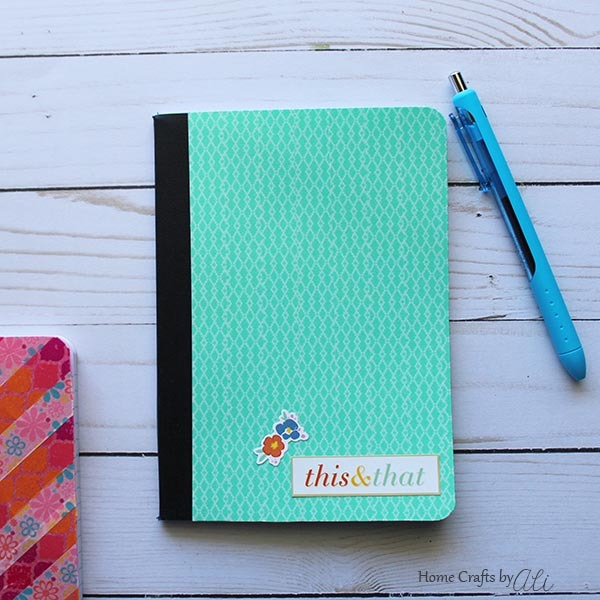 You can use washi stickers, planner stickers, or really any kind of stickers. That's it! You now have a decorated notebook that is ready to use, and now it will bring a smile to your face whenever you use it. We could create any type of project that we wanted to share with all of you. We will share the posts linked up to this party on social media! Share your handmade gift projects below and let's inspire some creativity! Mark your calendars for Wednesday February 14th for our next link party! We will be sharing a new challenge project and the link up on the 2nd Wednesday of each month. 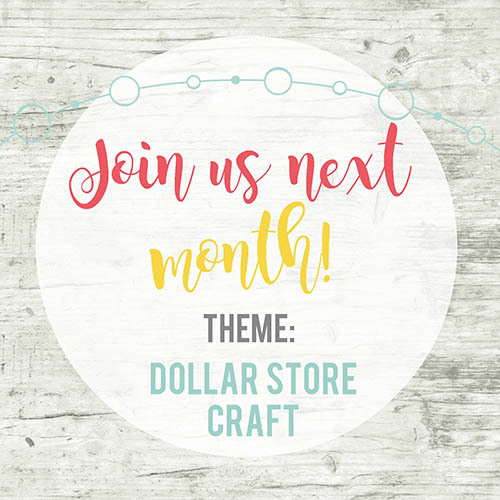 Here's a sneak peek at our theme for next month, we would love to have you create a project and share at our next link party!! 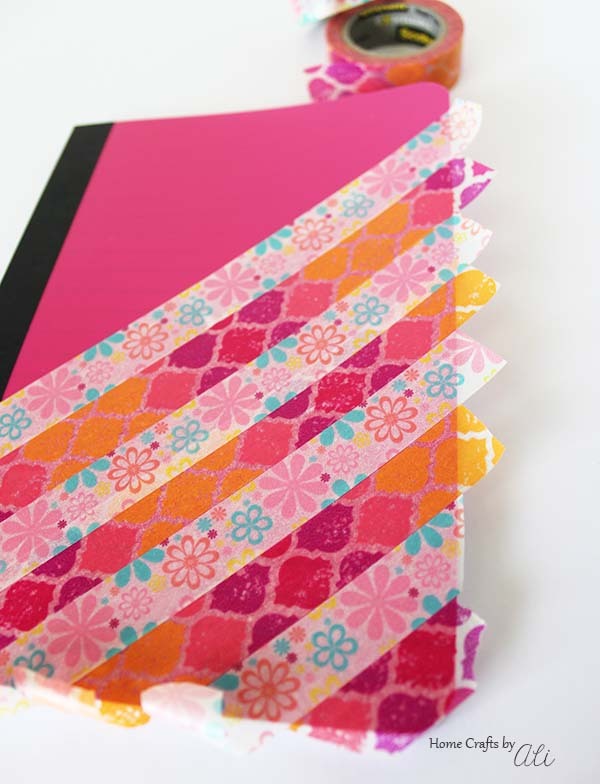 I love washi and I love notebooks! I need to make some of these! Super cute! Glad you liked them Candice! They are fun and I don't lose them in my purse. I love Washi tape projects! This would be a great kid-friendly craft to do with my daughter. I am loving using washi too Jaclyn! These are fun to make with tweens. We had an art party for my 12 year old and the girls had a great time decorating their own notebooks. What a darling idea! I love how these turned out - too cute!